Does Mood Affect Trading Behavior? Abstract: We test whether investor mood affects trading with data on all stock market transactions in Finland, utilizing variation in daylight and local weather. We find some evidence that environmental mood variables (local weather, length of day, daylight saving and lunar phase) affect investors’ direction of trade and volume. The effect magnitudes are roughly comparable to those of classical seasonals, such as the Monday effect. The statistical significance of the mood variables is weak in many cases, however. Only very little of the day-to-day variation in trading is collectively explained by all mood variables and calendar effects, but lower frequency variation seems connected to holiday seasons. Abstract: We examine the effect of daylight saving time changes on U.S. stock returns for the period January 2001 to December 2010. Utilizing CRSP value-weighted and equally-weighted equity indices, our results indicate that daylight saving weekends are not significantly lower than that of other weekends. Furthermore, our significance results remained consistent when we separated our data by fall and spring daylight saving time changes for comparisons. We therefore conclude that the daylight saving time changes does not impact the U.S. stock market. Abstract: There is a rich array of evidence that suggests that changes in sleeping patterns affect an individual’s decision-making processes. A nationwide sleeping-pattern change happens twice a year when the Daylight Saving Time (DST) change occurs. Kamstra, Kramer, and Levi argued in 2000 that a DST change lowers stock market returns. This study presents evidence that DST changes affect the relationship between stock market return and volatility. Empirical evidence suggests that the positive relationship between return and volatility becomes negative on the Mondays following DST changes. The Daylight Saving Time Anomaly in Stock Returns: Fact or Fiction? Abstract: Stock market returns in 22 markets around the world show no evidence of a daylight saving time effect. Returns on the days following a switch from or to daylight saving time do not behave any differently from stock market returns on any other day of the week or month. These results reject earlier conclusions in the literature—based on less data—that investors’ mood changes induced by changes in sleep patterns significantly affect stock returns. Abstract: In a recent article in this journal, Berument, Dogan, and Onar (2010) challenged the existence of the previously documented daylight-saving effect. Kamstra, Kramer, and Levi’s original finding (2000) was that average stock market returns on Mondays following time changes are economically and statistically significantly lower than typical Monday returns. Kamstra, et al. hypothesized that the effect may arise due to heightened anxiety or risk aversion on the part of market participants after they experience a 1-hr. disruption in their sleep habits, in accordance with prior findings in the psychology literature linking sleep desynchronosis with anxiety. Berument, et al. replicated the original findings using ordinary least squares estimation, but when they modeled the mean of returns using a method prone to producing biased estimates, they obtained puzzling results. The analysis here, based on standard, unbiased modeling techniques, shows that the daylight-saving effect remains intact in the U.S.
Abstract: Kamstra, Kramer, and Levi (2000, 2003) describe two stock market behavioral anomalies associated with changes in investor sentiment caused by daylight saving time (DST) changes and seasonal affective disorder (SAD). According to the hypothesized effects, DST changes and SAD affect asset prices by changing investors’ risk aversion. Although changes in the timing or amount of daylight are correlated with unusual stock market returns, I present evidence they do not cause those unusual returns. Instead, seasonal patterns in market-related information during the sample period are the likely cause of the correlation between stock market returns and DST changes or SAD. Abstract: The presence of daylight savings time effects on stock returns and on stock volatility was investigated using an EGARCH specification to model the conditional variance. The evidence gathered from the major United States stock markets for the period between 1967 and 2007 did not support the existence of the daylight savings time effect on stock returns or on volatility. Returns on the first business day following daylight savings time changes were not lower nor was the volatility higher, as would be expected if there were an effect. Abstract: Kamstra et al. [Kamstra, M.J., Kramer, L.A., Levi, M.D., 2000. Losing sleep at the market: the daylight saving anomaly. The American Economic Review 90, 1005–1011] argue that the mean weekend return following the changes in daylight saving time is less than the mean weekend return throughout the rest of the year. Opposing studies, such as Pinegar [Pinegar, J.M., 2002. Losing sleep at the market: comment. The American Economic Review 92, 1251–1256), reason that the observed results depend upon methodology. We extend the ongoing discussions by providing further evidence for equity markets and bond markets in Germany and across Europe. We further demonstrate that the daylight saving effect does not serve as a potential rationale for the weekend effect. Abstract: This paper investigates the relationship between seven mood-proxy variables and a global equity dataset using a variety of group tests. The mood-proxy variables are constructed from weather data (precipitation, temperature, wind, geomagnetic storms) and biorhythm data (seasonal affective disorder, daylight savings time changes, lunar phases). This study contributes a greater understanding of the relationship between mood and equity pricing through testing the strength of the relationship between groups of mood-proxy variables and both returns and variance. Using a large and globally diverse equity dataset, robust econometric testing approaches, and testing deseasonalised and regular weather variables, we conclude that seasonal affective disorder and low temperatures show the greatest relationship with equity pricing. Do Daylight-Saving Time Adjustments Really Impact Stock Returns? Abstract: We study the possible impact of daylight-saving time adjustment on stock returns. Previous work reveals that average returns tend to decline following an adjustment. As averages are sensitive to outliers, more recent work focused on the entire distribution of returns and found little impact following adjustments. Unfortunately, the general nature of the alternative hypothesis reduces the power of the distribution test to detect an effect of adjustments on the location of the distribution. We construct robust tests that are designed to have power to detect a time-adjustment effect onthe location of returns. We also develop a more novel test of exponential tilting that is designed to accommodate possible heterogeneity in the return distribution over time. When we apply these test to S&P 500 stock returns, we are unable to rigorously detect a time adjustment effect on stock returns. 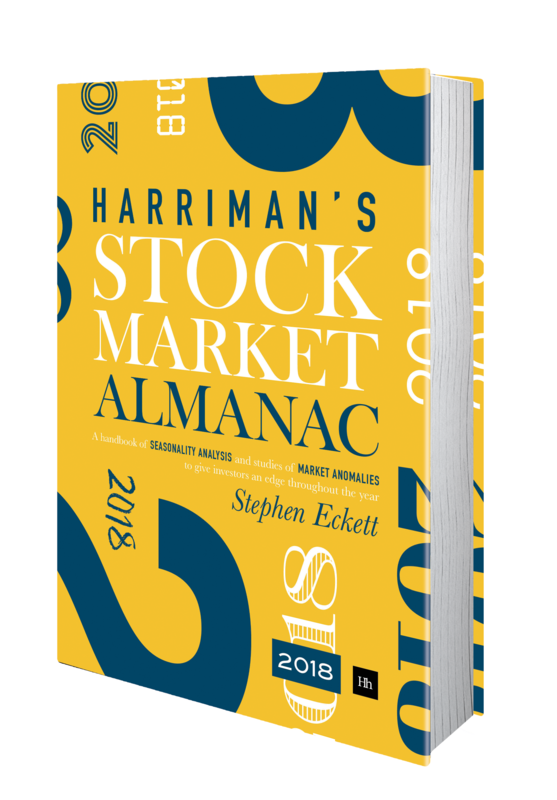 Abstract: We investigate whether there exists a relationship between eight proxy variables for investor mood (based on the weather, biorhythms, and beliefs) and daily Irish stock returns over the period 1988 to 2001. Our study is motivated by recent research which argues that people’s decisions are influenced by their feelings, especially when the decision involves risk and uncertainty (e.g. Loewenstein et al., 2001). We find that some of the variables proposed in the literature (rain and time changes around daylight savings) are minor but significant influences. We also find preliminary evidence for the relationship between mood proxy variables and equity returns being more pronounced in times of positive recent market performance. This finding is consistent with psychological research showing that people in a good mood (in this case, because of presumed gains in their investment portfolios) are more likely to allow irrelevant mood factors to influence their decision-making (e.g. Mackie and Worth, 1991). Abstract: A recent study finds evidence of a new financial market anomaly linking daylight savings time changes with market returns – spring and fall daylight savings time weekends are typically followed by large negative returns – and that these returns are significantly lower than regular weekend average returns. The present study finds that neither the consistency nor the magnitude and statistical significance claimed for this anomaly survives serious scrutiny. Abstract: The ‘daylight saving effect’ predicts that the mean weekend return following the spring and fall/autumn changes in daylight saving time is less than the mean weekend return throughout the rest of the year. With this market anomaly, the change in market participants’ behaviour is linked with sleep desynchronosis and the change in circadian rhythm and its negative impact on sleep patterns. This study investigates the purported daylight saving effect in Australian equity market returns over the period 1979/80-2002/03 using parametric testing and regression analysis. After adjustments are made for heteroskedasticity and autocorrelation in the data, neither the transition to nor the movement from daylight saving is associated with returns that differ from other days. The results also show the absence of any significant weekend effect in the Australian equity market. Abstract: We explore the connection between equity returns and sleep disruptions following daylight-savings time changes. In international markets, the average Friday-to-Monday return on daylight-savings weekends is markedly lower than expected, with a magnitude 200 to 500 percent larger than the average negative return for other weekends of the year. This “daylight-savings anomaly” in financial markets is consistent with desynchronosis research which has identified the effects of changes in sleep patterns on judgment, anxiety, reaction time, problem solving and accidents. This paper suggests sleep effects of daylight-savings time changes may be impacting market participants internationally. This entry was posted in Academic papers, News and tagged daylight saving, DST, paper review by Almanacist. Bookmark the permalink.